Who Will Serve the Energy Vertical in the Next Boom? The change in market fundamentals, competition and technology are turning the energy vertical on its head bringing new entrants using new solutions not yet commercially available in the last boom stage to transform big data into big competitive advantage in the next boom. The tools of choice include mobile real-time data gathering and access, cloud-based predictive analytics, data visualization and social networking tools to put it all together seamlessly. Unconventional Oil & Gas Growth. While the major oil and gas companies focused on deep water drilling to search for large new conventional oil discoveries in places others could not reach, the smaller, faster, more nimble ‘wildcat’ players on shore exploiting horizontal drilling and hydraulic fracturing to extract oil and gas from shales that heretofore had been uneconomic. The result is the largest expansion of domestic oil and gas production growth in the US in decades. So even while conventional drilling was stopped in the aftermath of the BP Gulf oil spill, total domestic oil and gas production still grew year over year. This growth in unconventional oil and gas profoundly disrupted the energy industry singlehandedly killing off imports of liquefied natural gas (LNG) and turning the US into a net exporter of natural gas thus disrupting plans by LNG exporting nations to create an LNG cartel similar to OPEC. This trend will continue and every player will seek big data and integrated analytics solutions to guide decisions. Wind and Solar Renewable Energy nearing Grid Parity. The old joke used to be that ‘renewable energy had great potential—and always would’ as a way of tormenting these cleaner energy resources with their impediments—they cost more than fossil generation resources, were intermittent and required backup, and were often in remote locations without transmission access to get them to market. And then China began producing low priced wind turbines and solar photovoltaic panels that first disrupted and now dominate the global supply chain. The result is major renewable energy growth and prices falling to near grid parity. Now renewable energy must become scalable without subsidies to be sustainable and that will require mission critical optimization and analytics solutions. Smart Grid creates the potential for Scalable Growth. In the last energy boom market smart grid was the stuff of academic papers. Today we are nearing saturation point in the deployment of smart meters spitting out bursts of data on energy consumption every ten minute creating a tsunami of data waiting to be put to work. Improved distribution automation, grid optimization, portfolio risk analytics software, energy management and customer aggregation solutions are bringing new entrants into the energy market creating a profitable business in aggregating commercial and industrial customers for demand response, energy efficiency and constant energy management to achieve savings from peak day pricing, net metering, self-generation, and building and operations efficiency. The demand for customer-driven solutions is expected to grow substantially as smart grid-enabled technologies shift control from utilities to customers. Regulatory Uncertainty—or worse, the Certainty of Bad Regulatory Outcomes. Perversely, volatility has traditionally been a good thing for energy market consultants because clients needed help to assess and respond to their changing regulatory drivers. Today the uncertainty of regulations ahead has never been greater. And the consequence of some of the proposed environmental and regulatory changes is an existential threat to some segments especially fossil fuel power generation, electric transmission siting and oil and gas E&P. Assessing these risk trade-offs requires a substantial level of quantitative analysis, stochastic risk analysis, regulatory evidentiary and lobbying skills and luck! Doing nothing may be the riskiest strategy of all for some energy market participants. New technology is democratizing the energy industry lowering the barriers to new entrants using new tools and new customer-driven business models to make money satisfying our insatiable appetite for energy—for less. But the need for expertise, analysis and insight has never been greater. 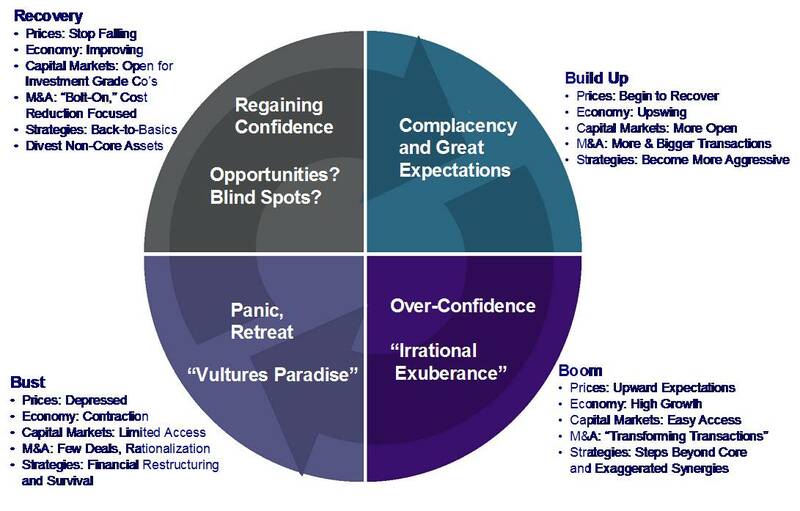 The reality of today’s M&A-driven world is a focus on short-term results not long term fundamentals. But fundamentals still drive the boom and bust cycle of the energy industry and understanding the long term implications of investment decisions profoundly affects short term performance results if you bet on the wrong location, wrong technology or wrong energy product to produce at the wrong time. This Darwinian process of survival of the fittest means using the best technology, data and analytics insight to break old rules, savage market leaders, and open the door for new entrants. Where are the Energy Market Consultants? Traditional energy market consultants Navigant, Pace Global, PA Consulting bet big on project finance deal flow and when it collapsed in the recession and credit crisis they diversified away from energy or narrowed their footprint to mandated renewables. Wood Mackenzie survived a near-death experience when its private equity parent failed in the market collapse but it has since been acquired by Charter House, another European private equity firm and seems to have stabilized. All of these firms are traditional billable hours consultants who must earn their one-time revenue over again each month. They lack a recurring revenue foundation to improve their valuation. For these businesses the valuation of the firm goes home every night. To compete in the next energy boom they must staff up, if they can find the expertise. Energy Information Services. WoodMac along with IHS each has a strong position in oil and gas and a weaker position in power. Both offer advisory services on a retainer basis. These players had the best opportunity to grow market share and dominate the segment by picking up the recurring revenue energy advisory book of business market share left on the cutting room floor by Ventyx which would have doubled their power retainer market share but neither was able for internal reasons to capitalize on the opportunity. Both have good standalone products for energy customers but are likely to find their traditional customers have ‘moved on’ to integrated technology solutions with filtered content these traditional energy advisory service providers are ill-suited to deliver. As a result there is a unmet need for independent, transparent, consistent market fundamental analysis that will be required as the energy vertical moves toward the next boom. Who will fill that gap? Energy software providers consolidated rapidly with Global Energy Decisions, New Energy Associates, MS Gerber, ABB’s wholesale software division, eAcumen, KW Int’l and Indus Int’l combined along with MDSI mobile data solutions into Ventyx which was then sold to ABB. Today its strategic focus is operations and compliance solutions and integrating ABB’s software and data product acquisitions into logical solutions. Thus ABB has acquired the market leading zonal production cost model (MARKETSYM) and the market leading nodal power flow model (PROMOD IV) but by eliminating its consulting and advisory services business line it also let go the data and modeling expertise to support its simulation ready data to feed these models and the expertise to run them and train users to run them. That expertise lies spread across many firms out of the control of ABB. Energy Data Services Companies like McGraw-Hill’s Platts and Ventyx/Velocity Suite competed with SNL, for the energy historic data business. Since the segment was mature and saturated it was a good cash business but had little growth except for taking market share from competitors. IHS bought Global Insight for its world class database and econometric modeling expertise across energy and other vertical markets, but has struggled to developing the technical consulting expertise to fully leverage the solutions. Government Services Contractors. Some traditional energy consultants like ICF bought Jones & Stokes to go after large government contracts for environmental, climate change, security and energy policy. SAIC bought RW Beck for its critical information protection (CIP) environmental and security business line. It too pursues large contracts and is diversifying Beck beyond its energy roots to a new focus on infrastructure. Industrial Manufacturers like GE, Siemens and ABB are a buying frenzy acquiring good products and companies as good prices in the trough of the energy business cycle to scale their growth and grow market share. These global giants seek to be end-to-end solution providers with solid engineering, manufacturing and services across the value chain as OT and IT converge. Enterprise Software Services Providers focus on integrating information technology (IT) and operations technology (OT) through business process analysis and enterprise professional services. This is a recurring revenue license business for solutions with plenty of one-time revenue from implementation, configuration and ongoing support services. The major enterprise software group includes IBM, Oracle, SAP, HP and all the consulting spin-offs of the big accounting firms Accenture, KPMG, Ernst & Young, and Deloitte feed off the IT/OT integration pain points of clients to gain wallet share. The problem is most have a tactical business process view of the energy and utility sectors and lack the fundamentals and project finance experience to be good strategic insight advisers. So what will replace traditional consultants? The gap left from the exit of traditional energy market consultants and the limits of enterprise software services providers still pitching their same old solutions is opening the door for new integrated data-rich energy analytics solutions to meet he needs of energy and utility customers in the next business cycle. What will they need? They need big data solutions, big analytics and visualization capabilities to find patterns and insight from that tsunami of data and make it actionable. And at the same time they face another tsunami in the looming retirement of the majority of the baby boomers that work for them taking a generation of experience, expertise and insight with them. A successful transition from where a utility or energy company is today to where it must be tomorrow requires BOTH new technology and big data-driven solutions AND training the next generation of talent by harvesting and transferring the experience and knowledge of the existing workforce before it ‘goes fishing’ for use in training the next generation of field supervisors, managers and experts across the energy business landscape. Fortunately for utilities, the financial impacts of the recess are likely to encourage employees to work longer or encourage them to be open to contractual relationships to help in this generation change process. The loss energy market consultant expertise and energy operating company expertise at the same time creates both big risks and big opportunity to fill this vacuum not by accelerating distribution automation and grid optimization using new technology, new methods, and new ideas to deliver energy market analysis along with IT/OT analysis and insight to fill the gap. What does this mean to customers? 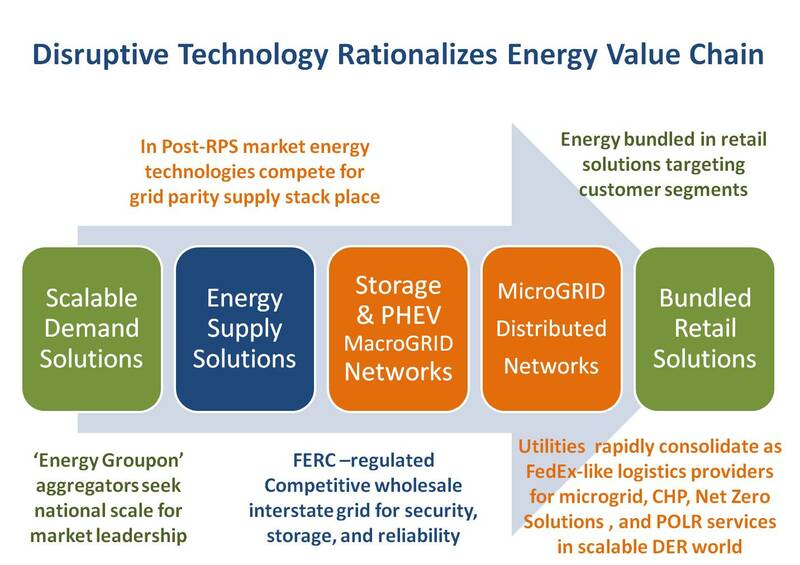 Smart grid and advances of distributed generation technologies is shifting power to customers. Customers will be better armed and better prepared to deal with utilities and grid operators as a result of customer aggregation and constant energy management on the customer’s side of the meter. The solutions customers use are going to interface with distribution automation and grid optimization algorithms in real time in our smart grid future. Customers still need to understand energy fundamentals and regulatory changes and their implications for their business but now they must do so across many markets, and make operating decisions that are both least cost and the best fit for keeping their own customers and investors satisfied. Energy solution providers that can fill that gap with visual data analysis, insight and follow-on applications and expert services can turn collaboration into a very sticky relationship from customers eager for insight and analysis in a world overwhelmed by data and complexity. Previous Could Disruptive Technology Prevent another San Bruno Gas Pipeline Disaster? Pingback: The Quest by Dan Yergin « Zap! Crackle! Pop!